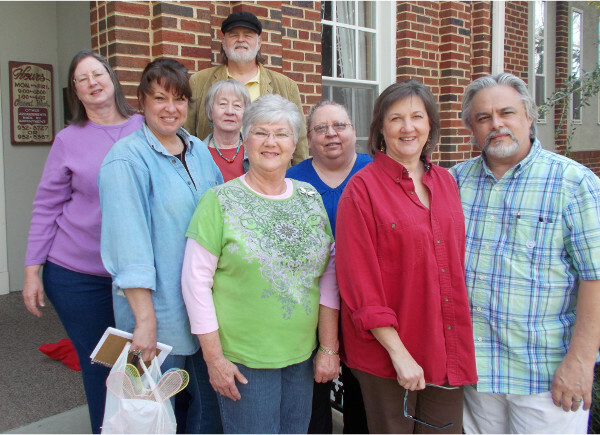 A new arts appreciation group has formed to promote the work of local artists. Their first public exhibition will be the Spring Art Show at the Fayette Civic Center April 12th from 9 am to 4 pm. With over a dozen artists displaying their hand-crafted items representing many art forms, there will be a wonderful array of items to see and buy. The Fayette area is rich in artistic talent as has been demonstrated over the years by many artists working in a variety of mediums. The new art association will work to promote those that are already known and those that are seeking to develop their talents and gain exposure. The members of the new group are pictured below. The efforts of the Sipsey Arts Alliance will continue to enhance the reputation of our area among artists as a city that appreciates creativity and talent. The city of Fayette applauds their endeavors to enrich the lives of its citizens by their industrious efforts. The Time-Record has an interview with the team and a profile of the artists that will be present for the Spring Art Show. WLDX will also have a live interview April 7th at 7 am. The Alliance can be contacted at (601) 540-7242 or email at sipseyartsalliance@gmail.com.